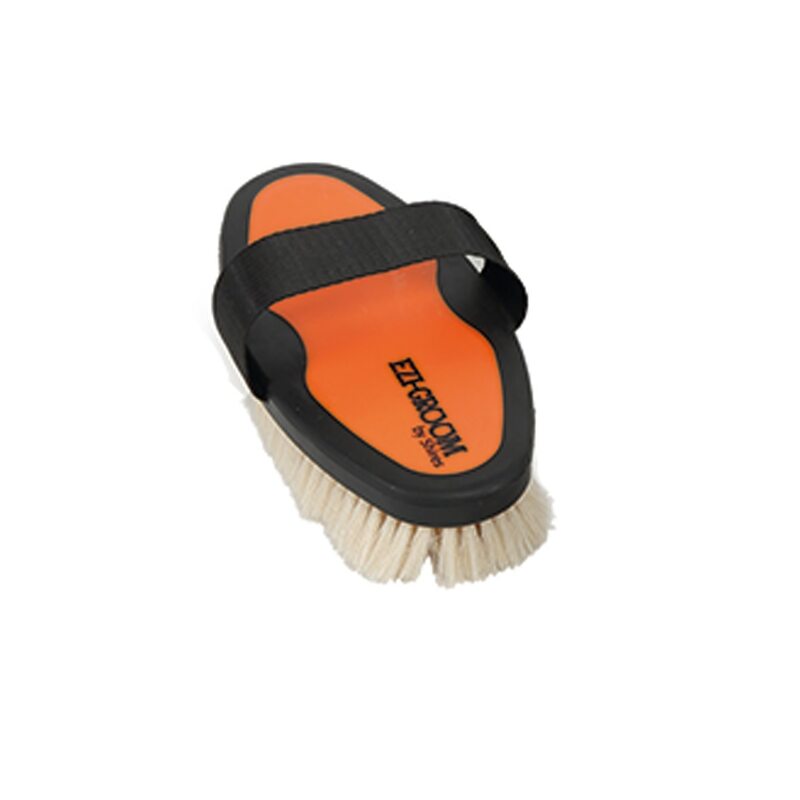 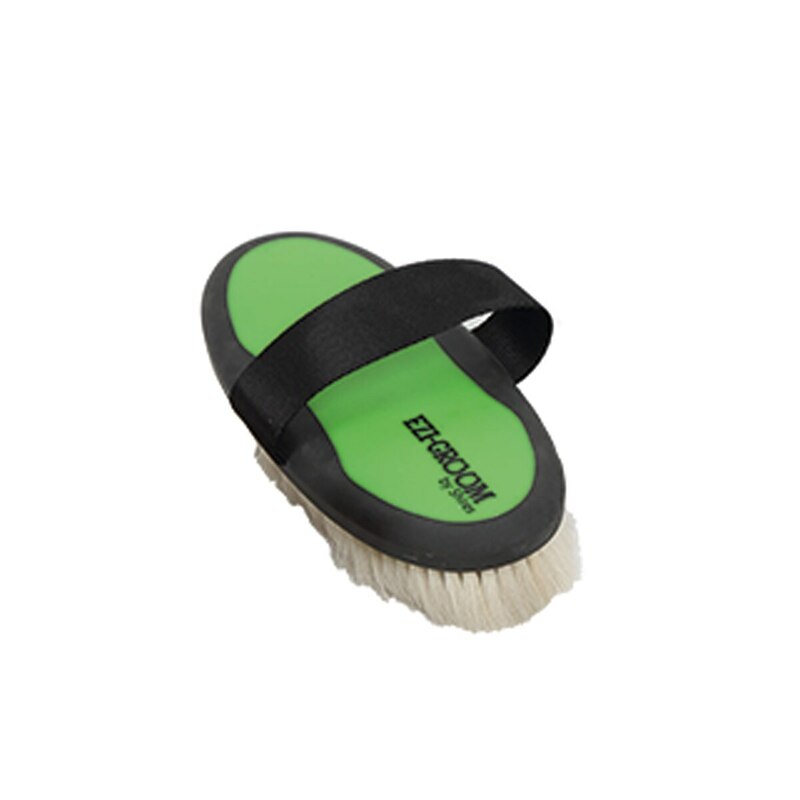 The Shires Ezi-Groom Grip Body Soft Brush with Goat Hair has a soft hold grip back, web hand strap, ultra soft goat hair bristles for raising a brilliant shine. 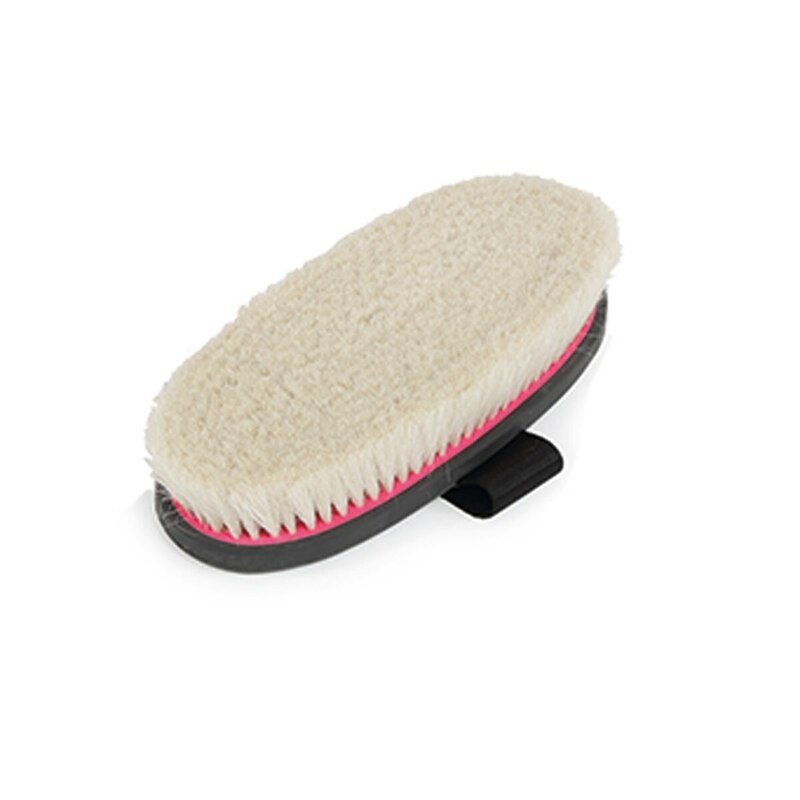 This luxurious finishing brush comes in several vibrant colors that will make grooming time extra fun! 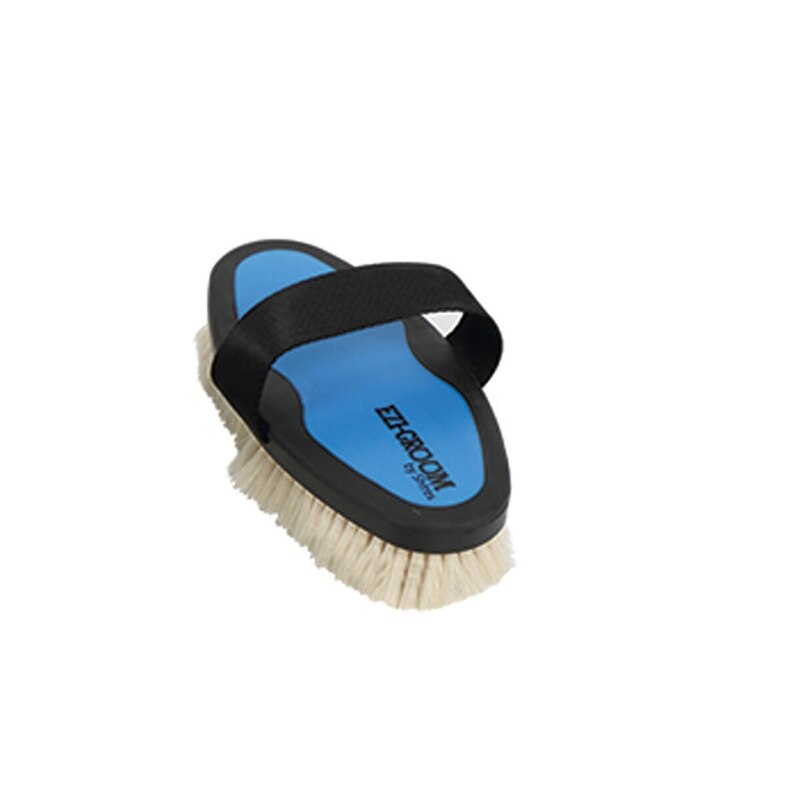 This brush is also easy to care for- just soak in warm, soapy water, rinse and air dry.